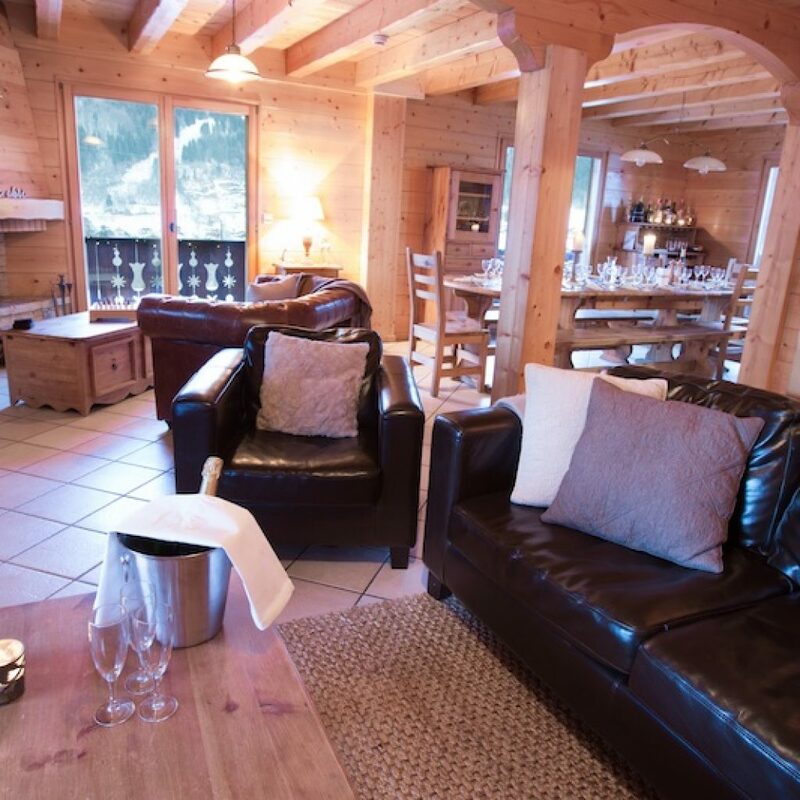 The spacious open plan lounge and dining area is situated on the middle floor of the chalet with stunning views of the valley providing a beautiful light filled room. The living area is surrounded with glass doors leading out on to the large balcony that wraps around the chalet. 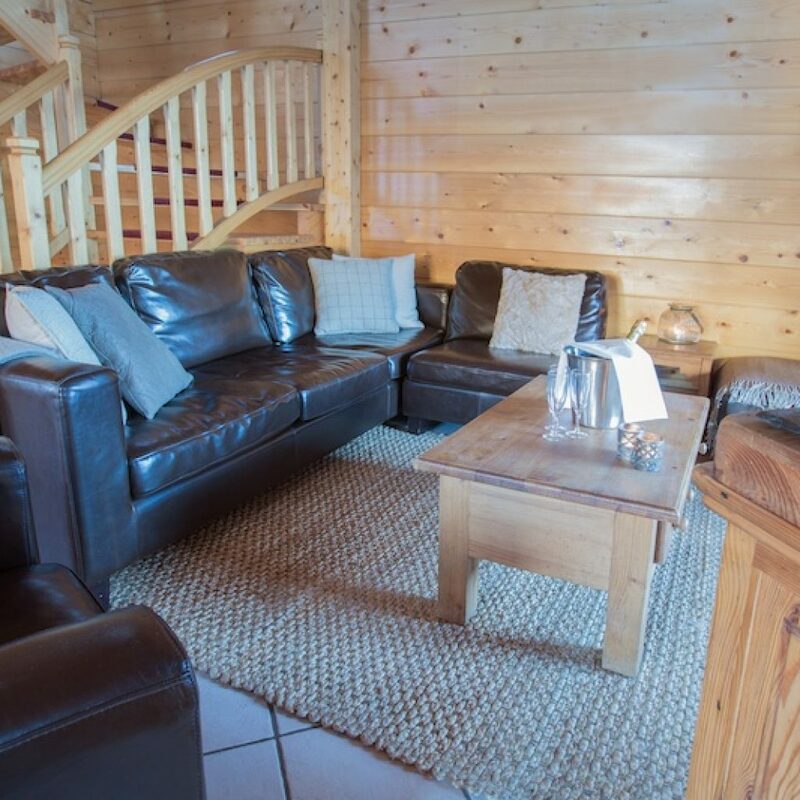 Outside you will find the fantatsic hot tub, BBQ and large seating area with table and chairs to enjoy your evening meals. 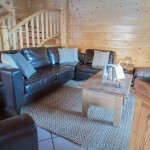 Or maybe you would prefer to relax on one of our sun loungers! 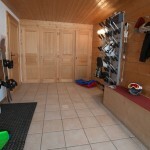 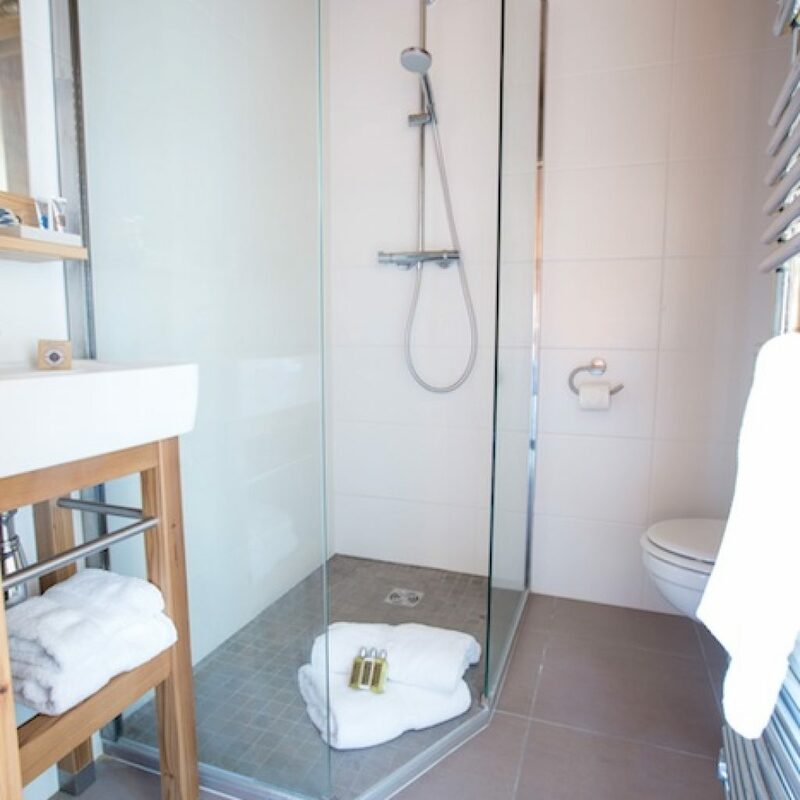 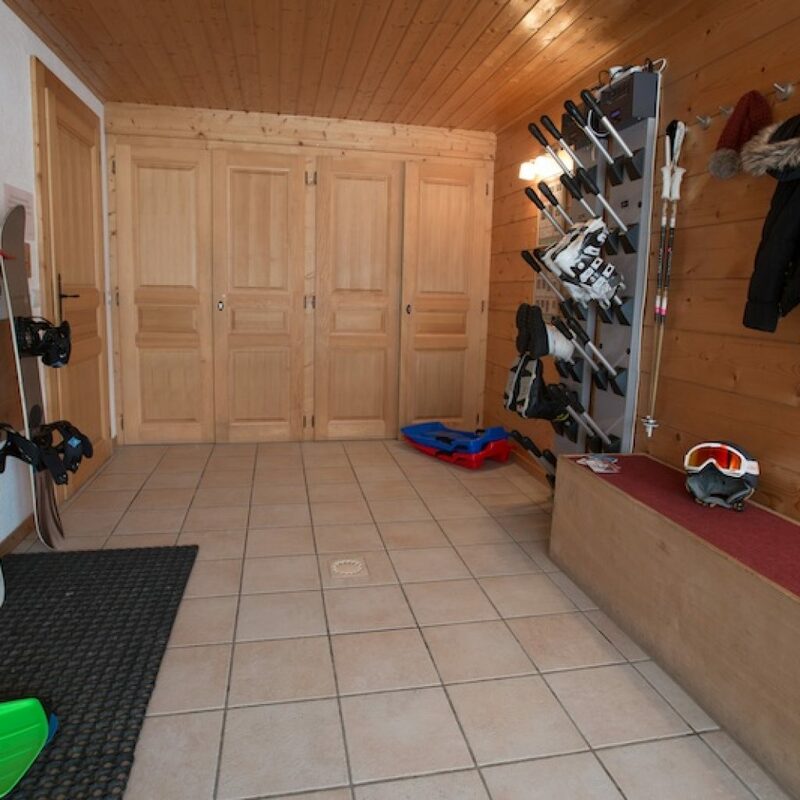 The chalet has a secure sports equipment storage area and a bike wash for those muddy days! 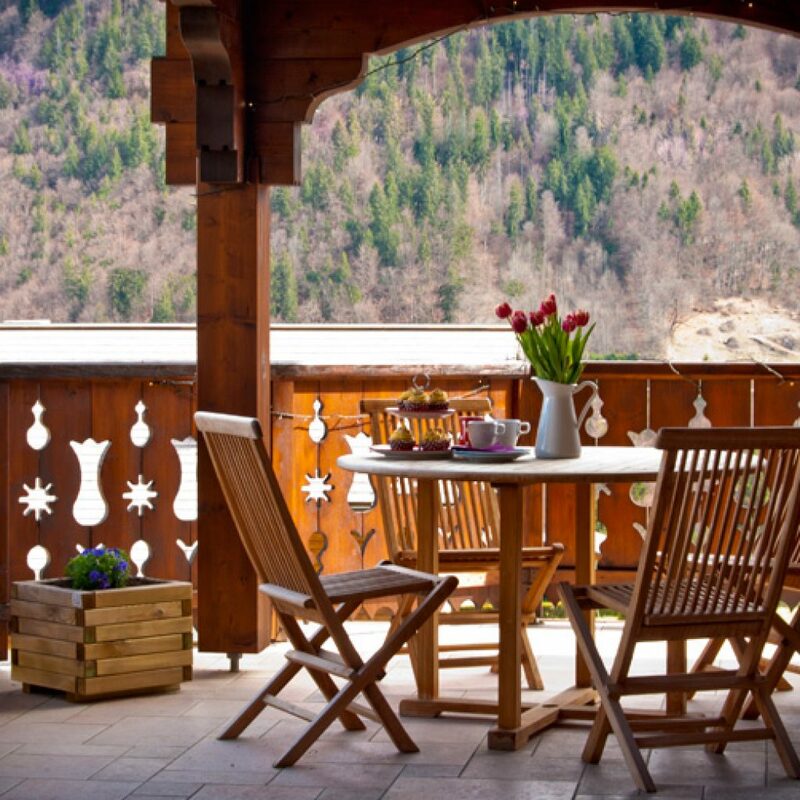 Chalet Doux Abri is located only a 10 min walk or a 3 min bike ride to the village centre. There is also a bus stop 100m from the chalet door which takes you straight into the village. 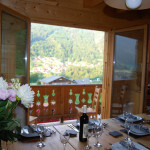 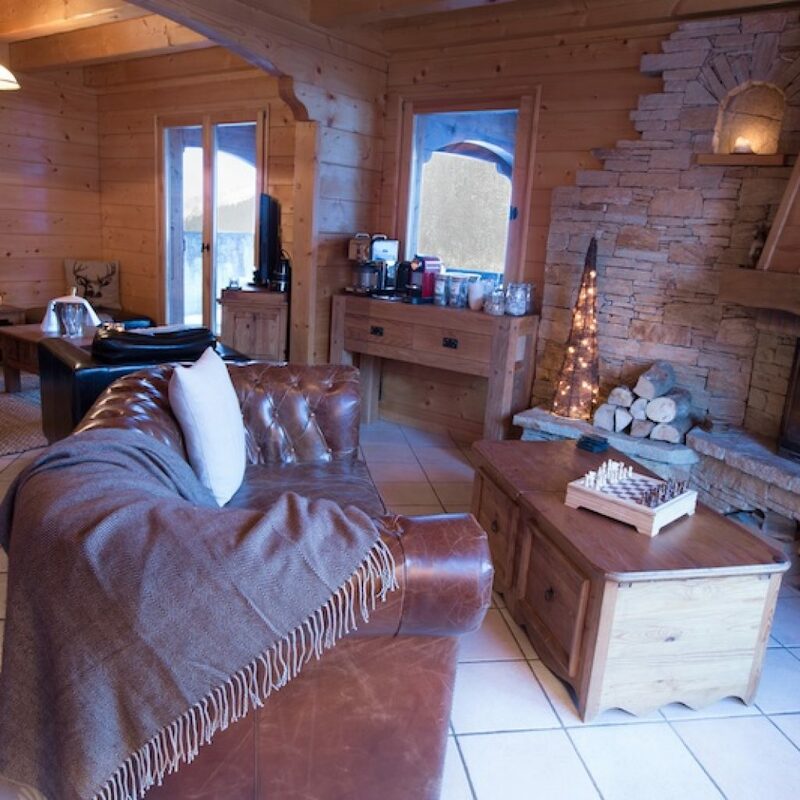 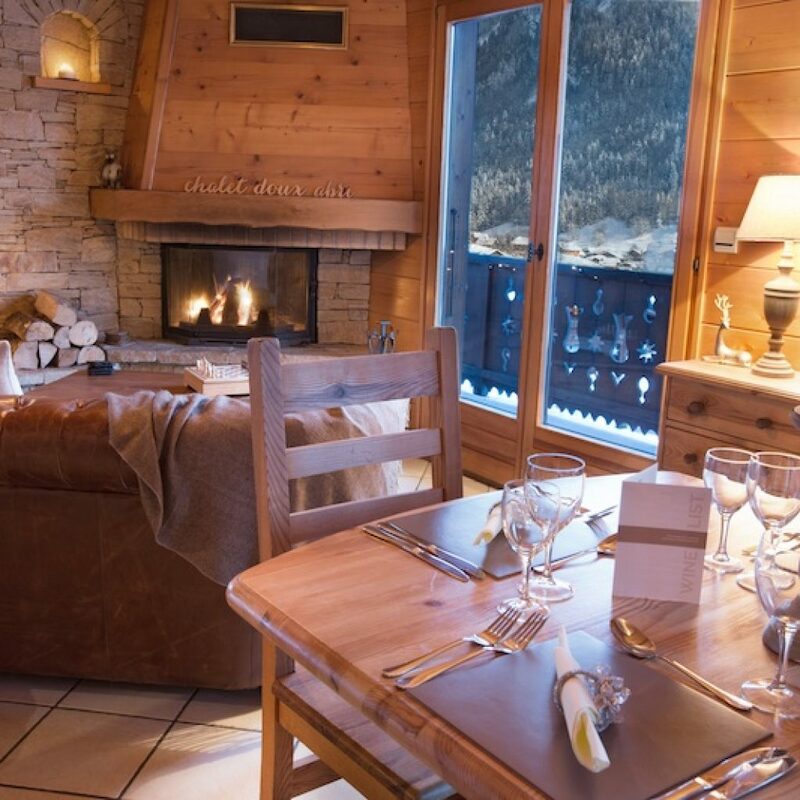 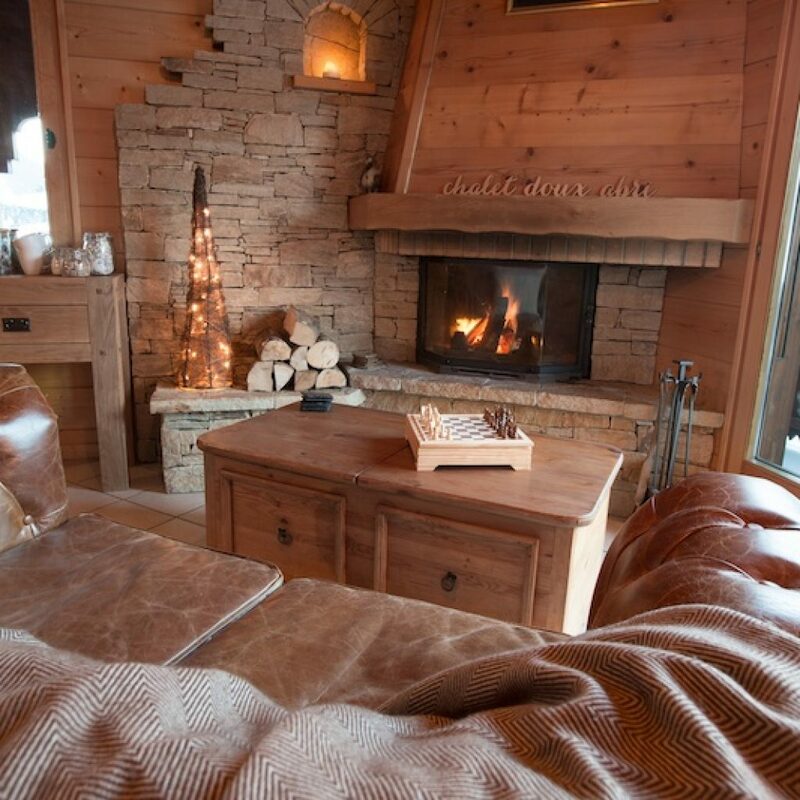 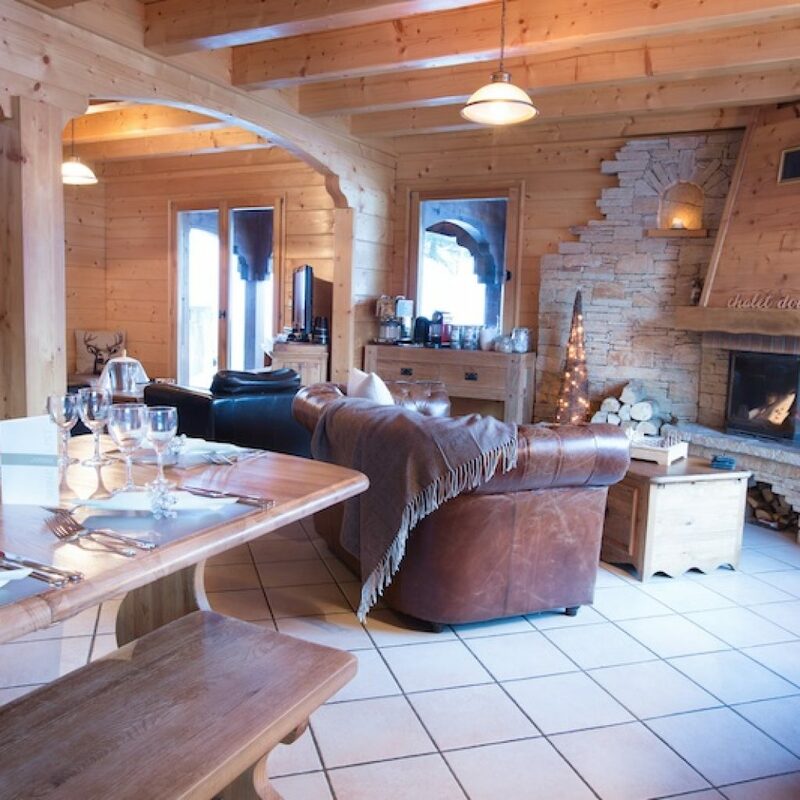 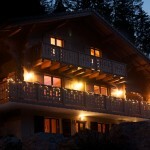 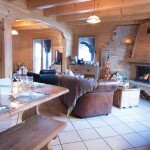 Chalet Doux Abri sleeps up to fourteen people in six bedrooms, five of which are en-suite. 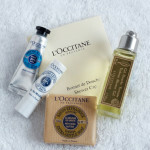 You’ll find complimentary L’Occitane toiletries and fluffy egyptian cotton towels in all our rooms. For the perfect nights sleep all our beds are made up with soft white linen and two pillows per person. 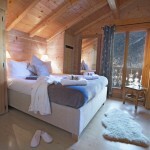 Rooms are a mixture of twins and doubles, where possible we will re-arrange rooms on request. 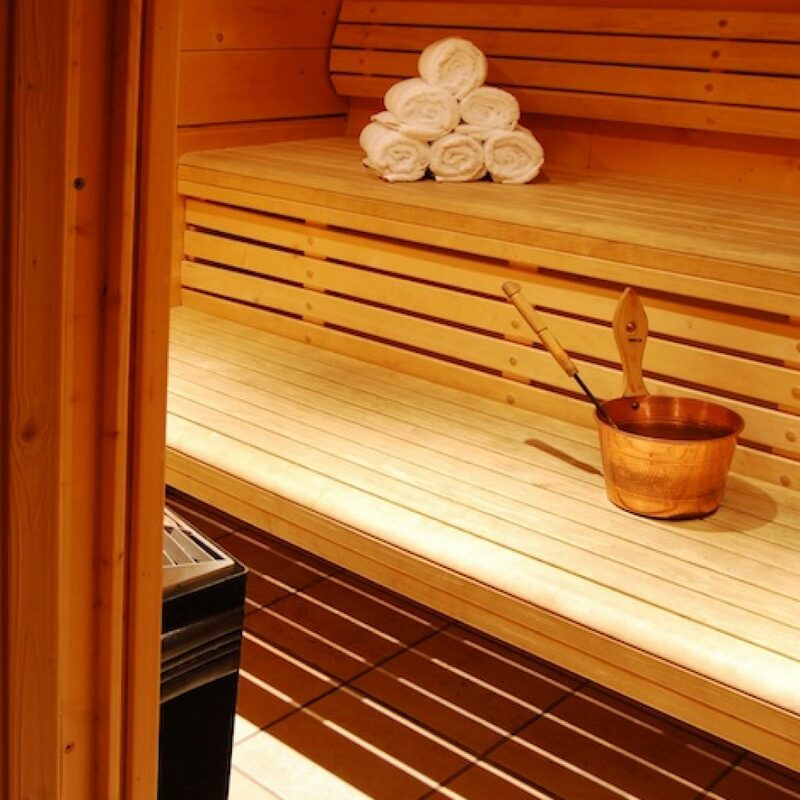 Our sauna and outdoor hot tub is a perfect way for unwinding and relaxing after returning from a day on the slopes. 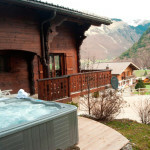 Soak up the amazing views from the hot tub over looking the valley. 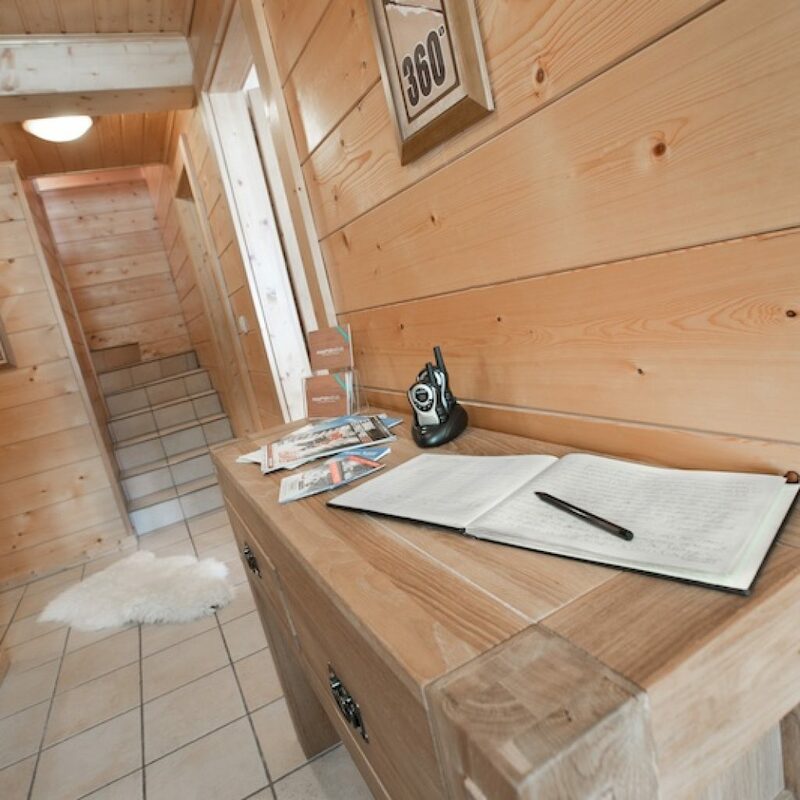 Our sauna and outdoor hot tub are the perfect way for unwinding and relaxing after returning from your day in the mountains. 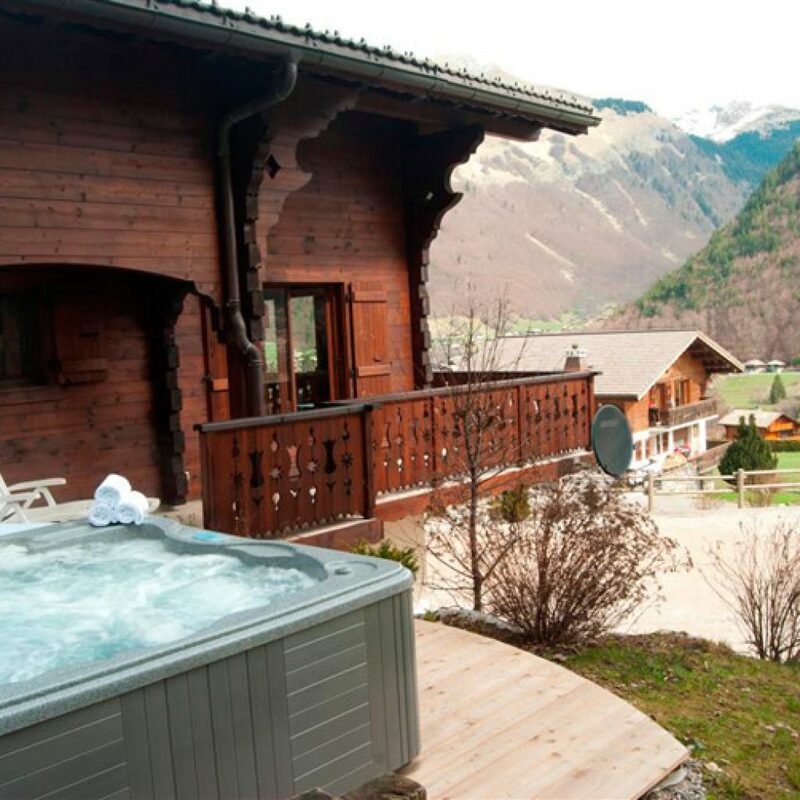 Soak up the amazing views from the hot tub over looking the valley. 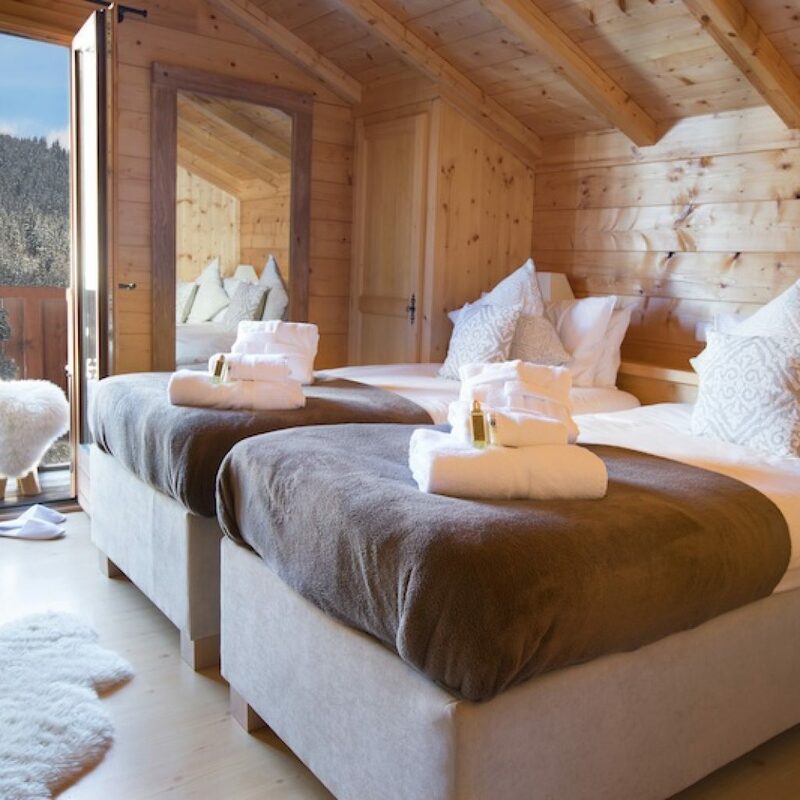 For your stay in Chalet Doux Abri you will be provided with Egyptian cotton towels, fresh linen, bedding and L’Occitane toiletries. 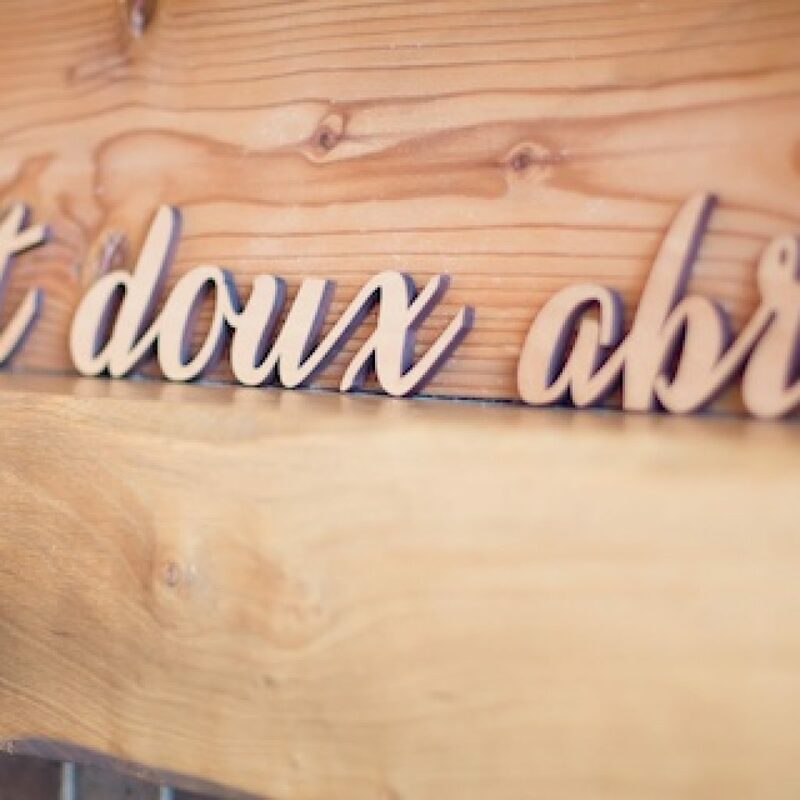 Get directions and view our location using our Google map below. 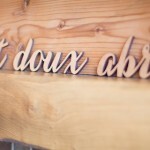 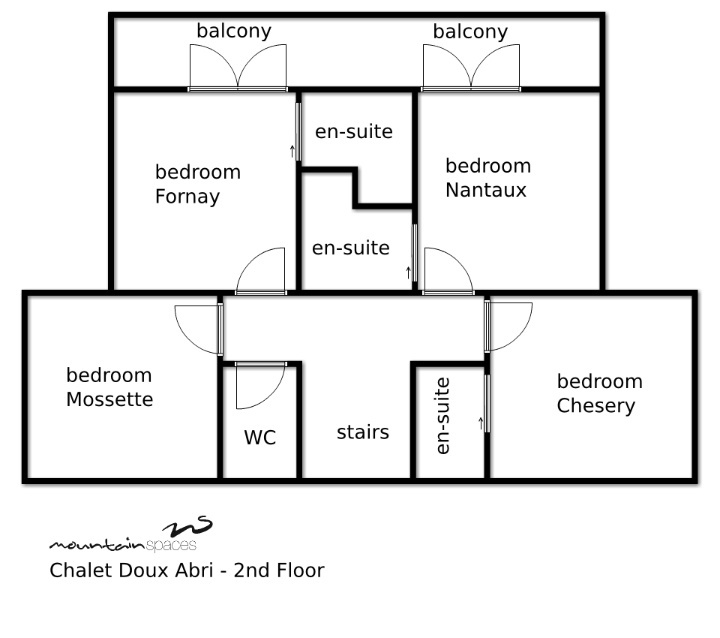 Follow us on Google+ for the latest news and reviews of Chalet Doux Abri. 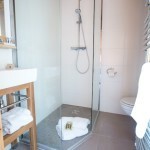 Two en-suite bedrooms, sauna with shower room and secure boot and bike room. 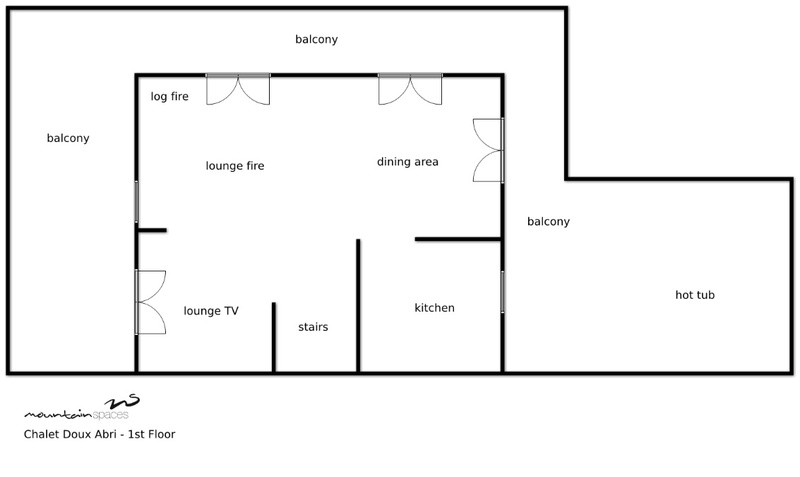 Open plan living and dining area, kitchen, wrap round balcony, outdoor hot tub. 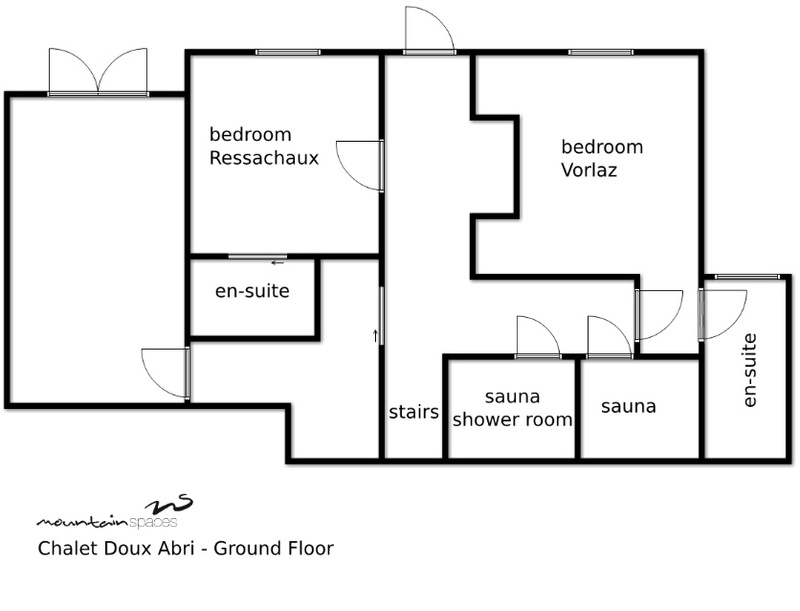 Three en-suite bedrooms and family bunk room.